Home News 747 is 50 White knuckles at first 747 flight 50 years ago. It was unlikely anyone was thinking about the change they were about to unleash on the lives of billions of people as the first Boeing 747 rolled out on to Everett’s Paine Field during a cold winter morning on February 9, 1969. They were also not anticipating that the 747 would end up logging more than 57 billion nautical miles (121.5bn km) — the equivalent of 137, 293 trips from the Earth to the moon — and fly more than 5.9 billion people. Their attention was very much on how this somewhat controversial giant of the skies would perform. The plan had been for the first flight of the Boeing 747 to take place on the anniversary of the Wright brothers’ historic flight but delays had scotched that idea. Instead, it had unintentionally hit another date: the sixth anniversary of the first flight of the 727. The man heading the engineering team that built the plane, Joe Sutter, recalled in his fascinating book on the 747 that he felt “keyed up” as RA001 taxied along the runway. “There was no doubt in my mind that the 747 would fly; the only question was how well,’’ he wrote. “A quiet thrill of elation buoyed me as I chatted with our three-man flight-test crew. “Project pilot Jack Wadell would take our baby aloft with the help of Brien Wygle to his right and Jess Wallick behind them in the flight deck as flight engineer. The world’s first jumbo jet accelerated down the runway and cheers and applause broke out as the nose lifted and it took off. Despite Wygle’s comment that the 747 was “flying beautifully”, a minor structural failure in one of the aircraft’s flaps prompted the first flight to be cut short and Sutter still had his fingers crossed as it landed. There had been controversy about whether pilots perched three floors above the ground could judge the landing and safely get the big plane back on the ground. “This was definitely on my mind as RA0001 turned from the base leg to final approach,’’ Sutter said. “Before my eyes, it descended to the runway with the stately majesty of an ocean liner. It flared gently and touched down very, very smoothly. 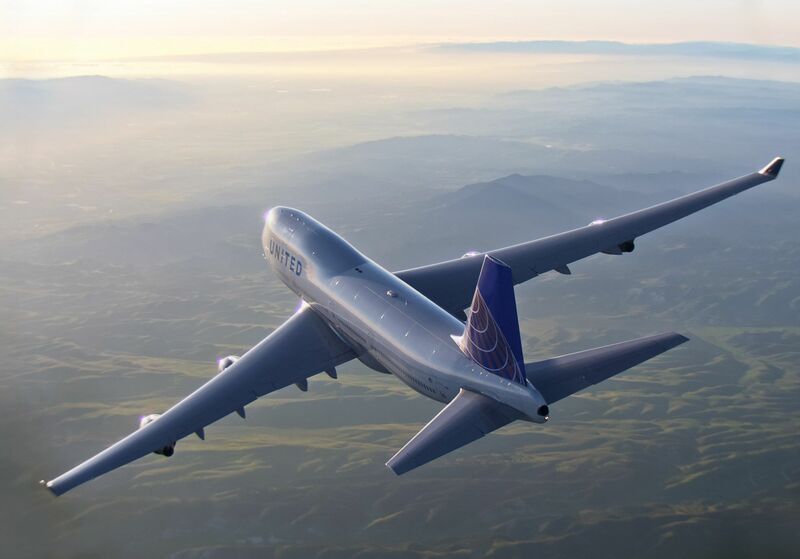 That first flight lasted 75 minutes and, according to Sutter, proved that the 747 flew well, was stable and had light controls with well-balanced forces. The 747 was the result of work by about 50,000 people, dubbed “the Incredibles”, who built the aircraft in less than 16 months. That first plane was 225ft (68.5m) long with a tail as tall as a six-story building and required the construction of a 200-million-cubic foot (5.6m cu. m) plant at Everett, near the US city of Seattle. It carried a ton of air when it was pressurized, its cargo hold had room for 3400 pieces of baggage and its total wing area was bigger than a basketball court. Boeing was not the only company producing technological marvels in 1969, which was also the year Neil Armstrong stepped on the moon. Concorde would make its first test flight on March 2 but the 747, the only widebody ever to reach the 1500 unit milestone, would be the plane with the widest impact for the biggest number of people. READ: Boeing backs supersonic biz jet that slashes five hours off Pacific crossing. 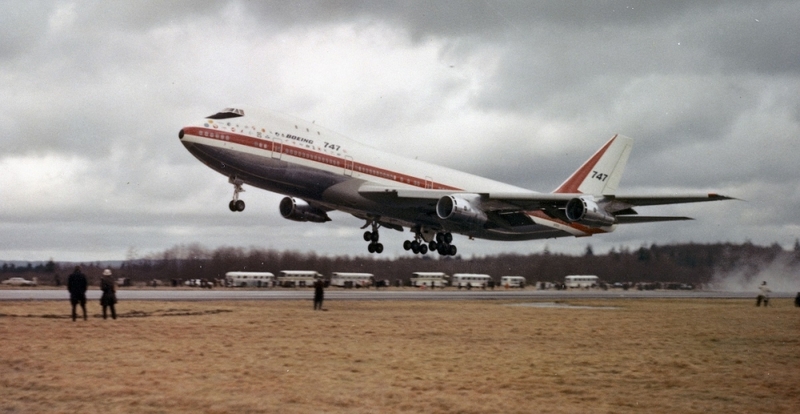 The 747’s first flight was the start of a grueling flight test program that would include a flyover at the 1969 Paris Air Show and a crash of one test aircraft at Boeing’s Renton facility. But on December 30, 1969, the 747 was certified by the US Federal Aviation Administration and could be delivered to launch customer Pan-Am. Pan-Am had been crucial to the development of the plane thanks to backing by legendary president Juan Trippe. 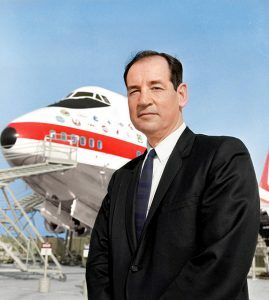 Trippe and Boeing boss Bill Allen had seen the plane as a way of promoting mass travel in increasingly congested skies and they had defied the critics to bring it into service. They triggered a transformation that began when the plane entered service on January 21, 1970, as the Clipper Constitution flew from New York’s John F. Kennedy International Airport to London Heathrow. Although much of the media attention would focus on often quirky lounges for the well-heeled, the giant plane also fascinated the general public. It would be the public that would benefit as airlines embraced the 747 to make it the Queen of the Skies, boosting competition and adding thousands of cheaper seats. Air travel in the 1960s was still an expensive exercise and when the 747 was introduced in 1970, the cost of a return airfare from Australia to London was the equivalent of 24 weeks of Australian average weekly earnings. By 1990, it was about five weeks of average weekly earnings and by 2000, this had reduced to two weeks. Today, it is often below one week’s earnings, although legroom has shrunk by up to 10cms. The success of the plane would ultimately be such that, for many people, international flights became synonymous with the 747. Whether it was a Singapore Airlines’ “Megatop” or a Qantas “Longreach, there was always a feeling that sitting economy was like traveling in a giant room. The jumbo evolved over the years, increasing in size and, more importantly, gaining range. There were also some interesting variants. NASA modified two 747-100s to carry space shuttles, two 747-200Bs have served as Air Force One and a 747-400 freighter was “weaponized” for use as a platform with the US Air Force’s Airborne Laser Program. Minor modifications allowed Japanese carriers to adapt the plane as a domestic shuttle, the 747SR, and there was a hybrid version of the 747-200 that was half passenger plane and half freighter known as the Combi. 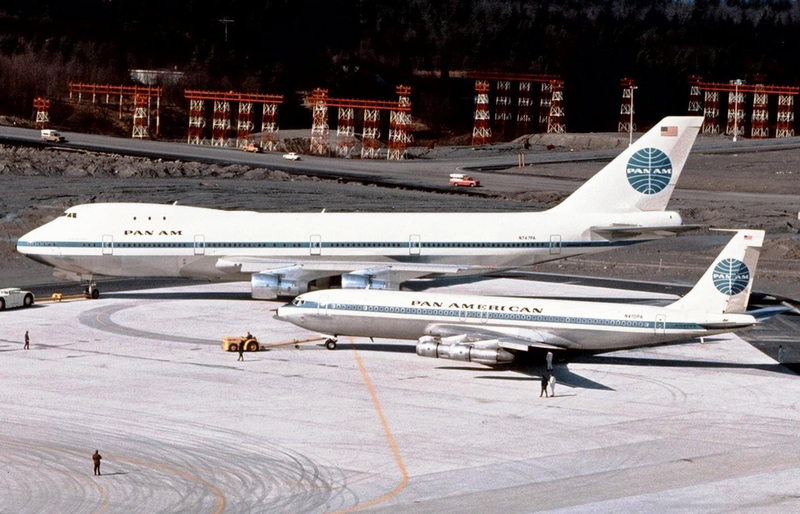 A truncated version, known as the 747SP, was designed to allow Pan-Am to fly the longer range, high business traffic route between New York and Tokyo. 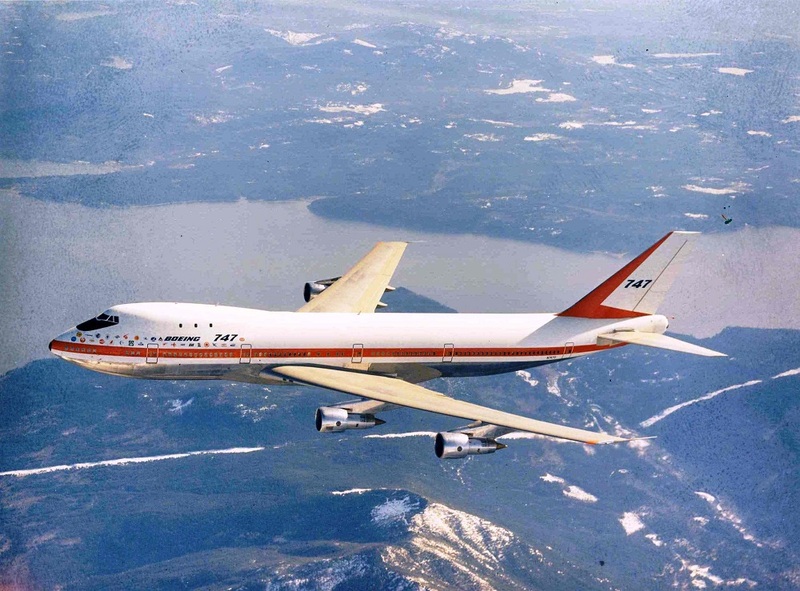 The sporty SP lost traction when engine improvements allowed the 747-200B to match its range. The 200B, in turn, would be superseded in 1983 when the 747-300 arrived with an extended dome for additional upper deck seating. But no version of the 747 would match the success of the most popular variant, the 747-400, which arrived in 1989. The Boeing jumbos in service today are mostly 747-400s, extended range versions of which pioneered non-stop flights on many longer routes such as Melbourne-Los Angeles. Including freighters and other variants, almost 700 747-400s were built and the last passenger version was delivered to China Airlines in 2005. However, that was not the end of the 747 story. A newer version of the plane designed to compete with the Airbus A380 superjumbo, the 747-8, was introduced with a longer fuselage and the same engine and cockpit technology as the Boeing 787. The General Electric GEnx-2B engines, raked wingtips and other improvements produced a 30 percent smaller noise footprint and a 15 percent reduction in carbon emissions through lower fuel consumption. Other advantages included fewer parts and less maintenance. However, the days of the four-engine passenger plane were already waning by the time the 747-8i was delivered and it has only been ordered by a handful of airlines: Lufthansa, Korean Air and Air China. Most of the 154 planes ordered by the end of 2018 have been freighters, although there is also a handful of business/VIP jets and two due to become the next Air Force One in the US. 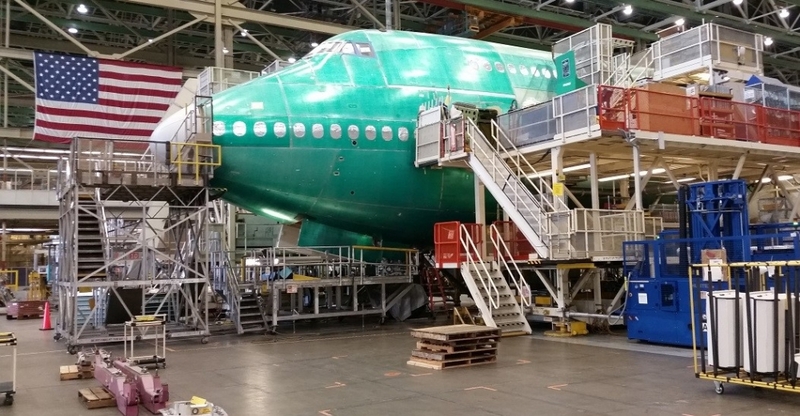 That the plane is still in production is a testament to Boeing’s foresight in developing freighter versions, something Airbus was unable to do for its now endangered A380.